It’s an embarrassment of riches. 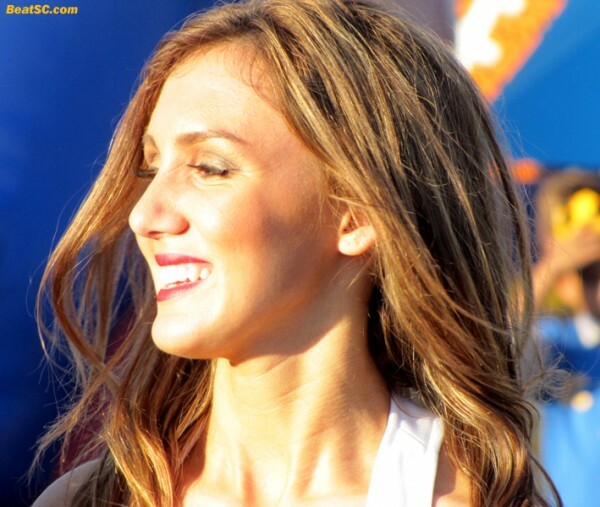 I take about 500 Cheerleader photos at any given game, and I USED TO end up with around 100 good ones that I felt compelled to share. Now I’ve got a slightly better camera, and a slightly more experienced photographic instinct, but those two factors don’t BEGIN to explain that NOW, with 500 shots, I get about 300 keepers. The real explanation is all about the subject matter. Thanks to expert training, professional grooming, and indomitable spirit, these girls just always seem to look so good. They are almost always “on” — smiling and happy, eyes open and sparkling, nailing routines and stunts, in sync with one another, and glowing — all the necessary facets of a good shot. So with that in mind, here are the “last” 40 Aggie game Cheer photos which I predetermined on that night would be posted. Even though the most elite shots are usually posted in my first few post-game pictorials, there is still ample beauty left to make this spread thoroughly enjoyable. Also: You should know that there are a few hundred more that still are not posted, and could eventually see the light of day, but I think after this collection, you will have already seen the best of the bunch, and tomorrow, there will be another 300 new A-listers that will take priority. Don’t forget to click on the photos to enlarge them (especially the horizontal ones). 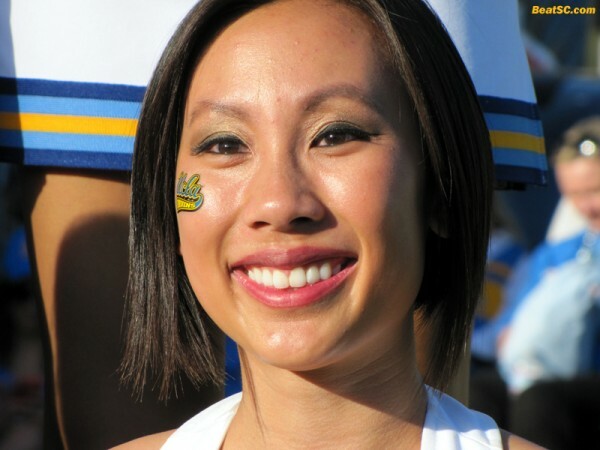 "BRINGING UP THE CHEER" was published on October 11th, 2013 and is listed in UCLA/usc/Cheerleader Photos. Love your column as much as I hate troy. Was wondering if you might be able to do some research for us Bruin fanatics? The Bruins as you know sit atop the NCAA championship list. How many 2nd place finishes do we have? I bet we lead that list too. Can you let me know?